I’ll be the first to admit that I’m no connoisseur when it come to pizza- I can easily count on one hand the number of times I’ve had pizza this year, and of those times it has either been from one of the major pizza chains or from a pub. So it probably doesn’t come as a surprise that Lebanese style pizza isn’t something I’ve tried before, and probably also explains my excitement when Manoosh Pizzeria, kindly invited me to have a taste of their menu! By title, Manoosh is a pizzeria, but have a just have a quick look at their menu, and you’ll find that there’s a lot more going on than just pizza. It’s our first time here, but we instantly know that they must be doing something right when they’ve got a table full of restaurant awards and the place is packed full of customers waiting for takeaway orders at noon on a Saturday. As expected for a pizzeria, the menu is mostly packed with carb-heavy options- an extensive list of pizzas, wraps and breads making up the majority of the menu. But the sides are equally, if not even more, exciting, and there’s honestly too many exciting options to choose from that we’re not even sure where to start. If you’re after your typical take-away pizza fare, you’ll find the garlic breads (there’s three different types!) and salads you’re looking for, but if you’re after something more different, there are also options like falafel and pastries to tempt your tastebuds. 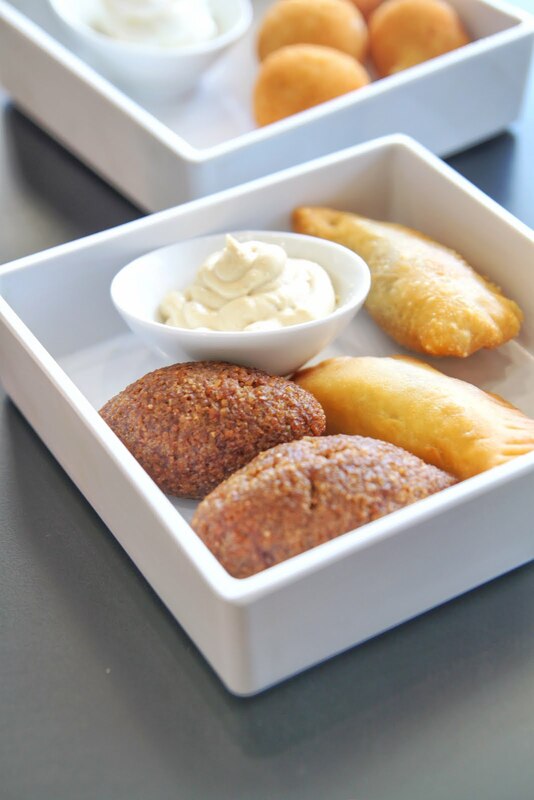 Our indecisive minds settle for a bit of everything, starting with the kebbeh, cute deep fried lamb burghul footballs encasing a generous, soft mixture of spiced lamb, pine nut and onions. A similar filling can also be found in the Sambousik, a deep fried puff pastry crescent, not unlike a curry puff. If you’re after something a bit more bite sized, the Smoked Chorizo balls would be my pick: fried potato dough balls with a cheese and chorizo filling. Cute as they may look, the cheesy chorizo filling certainly packs a punch! If chorizo is not so much your thing, the Triple Cheesy balls are a similar offering without the chorizo, the flavour slightly more subtle, but no less enjoyable. The golden potato dough casing makes for a firm crunch, giving way to a delicious creamy cheese blend of mozerella, parmesan and cream cheese. But if cheese is your thing, go for the Haloumi pie. Essentially, the haloumi pie consist of round dough folded over a filling of melted haloumi, adorned with a light sprinkly seame seeds. 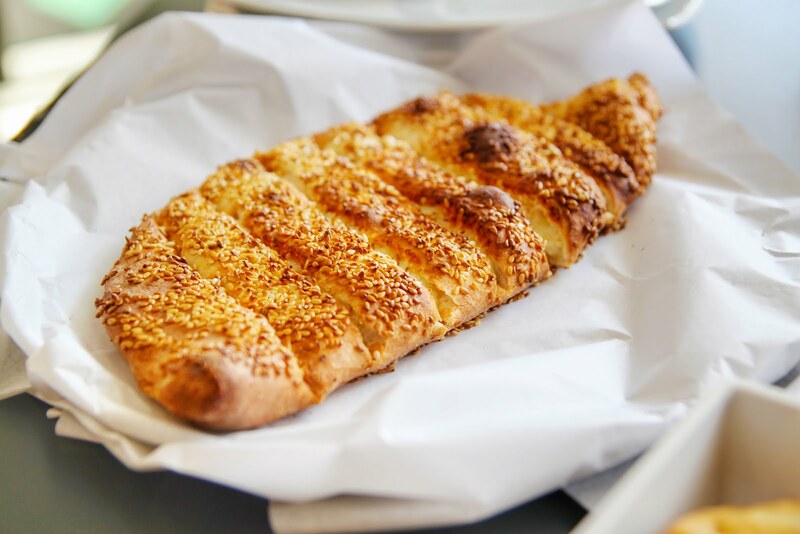 The dough itself is soft and fluffy, its time in the oven creating a thin crisp layer on the outside as well as toasting the sesame seeds to accentuate its nutty flavour. The choice of haloumi means that it is also milder in taste than most cheeses we’re used to, which is perfect since we’re not massive fans of strong cheeses. 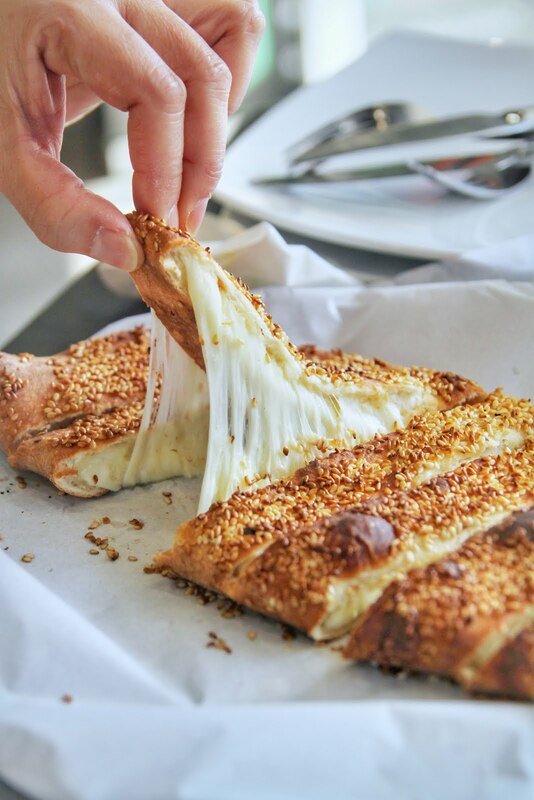 We’re most intrigued by the fact that haloumi can actually melt, and not only that, gives one of the most satisfying cheese pulls we’ve experienced! Had we ordered ourselves, we would never have chosen this, neither of us being huge fans of haloumi, but were so glad we did give this a go because it became our instant favourite. Infact, it was so good, we will literally drive across town just to order it again! And of course the pizza. 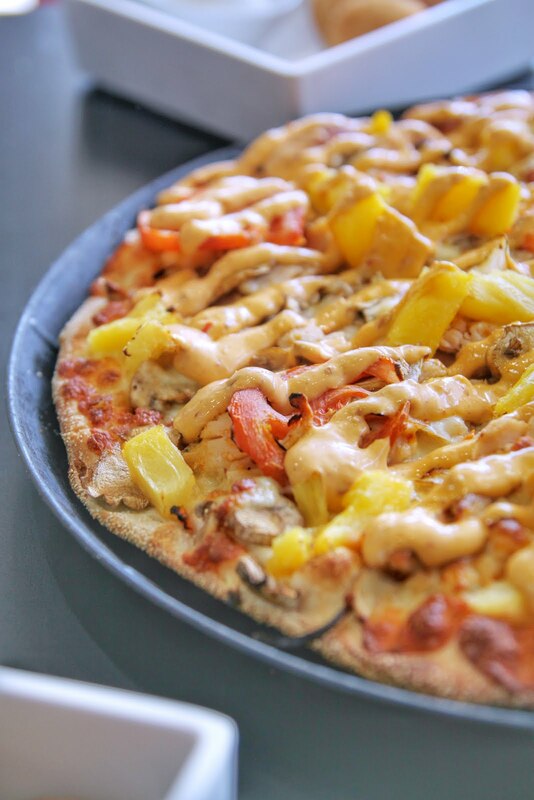 We’re naturally drawn to the 5 star pizzas, their more gourmet flavour options, and can’t resist the promise of chicken and Peri Peri sauce on the Wildfire pizza. 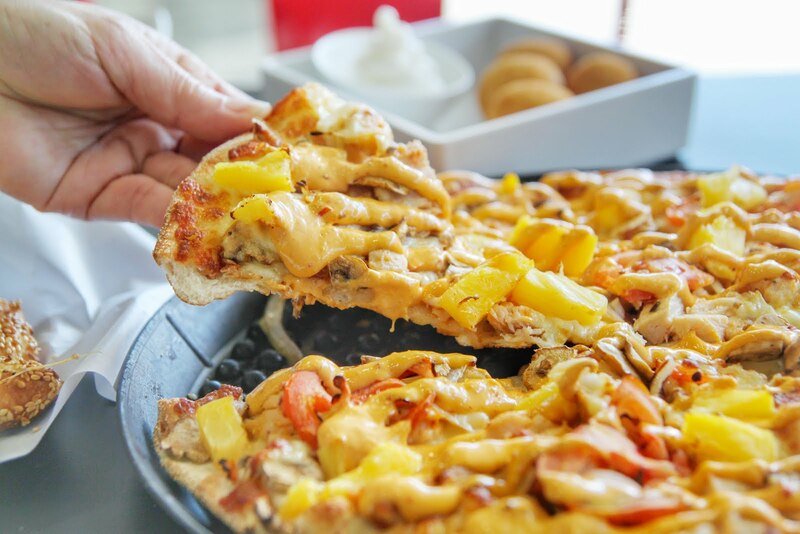 There’s no shortage of toppings on this pizza, the combination of cheese, chicken, mushroom, onion, fresh tomato and pineapple leaving no spot uncovered on the dough. The flavour combination is spot on-it is simple enough to that the freshness of the tomato and pineapple shine through, also delivering a delightful juiciness without being soggy. Despite the heft of the toppings, it strikes a good balance in providing plenty of flavour without weighing down the base. Delicious as the toppings are, it’s actually the pizza base that really gets us talking. It’s a thin flatbread base, which is incredibly crispy even when cooled. It’s soft yet carries enough structure to hold the toppings without flopping over. And to complete the meal, there is also a dessert component of the menu, of which there’s no shortage of options (they even serve Ben & Jerry’s! ), and our choice of the Ferrero Crunch certainly does not disappoint! Be prepared to share as it is a large pastry, folded around a chocolate and nut filling. 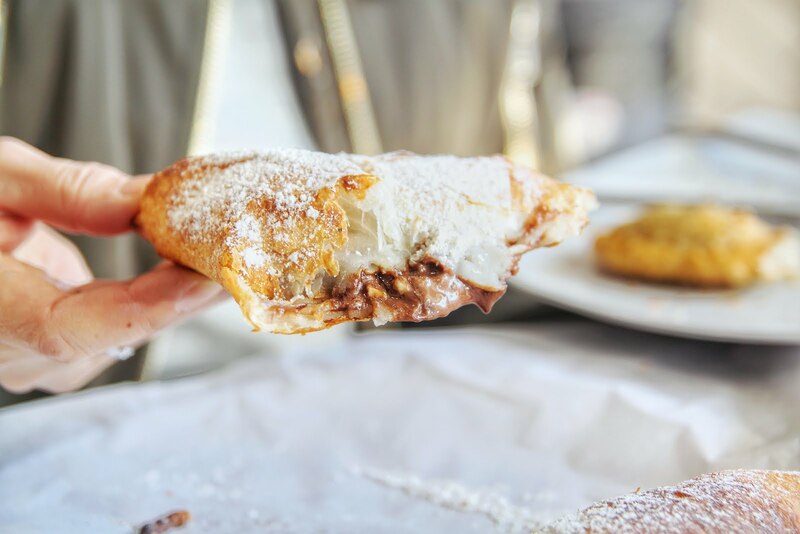 It might not be the most photogenic dessert, but cut open through the light, thin layers of flaky pastry and you will hit gold: a piping hot, runny nutella filling, which immediate gets our mouths watering! The combination of chocolate, almonds, hazelnuts and peanuts is always a winner, the nuts adding some extra crunch. For an extra dollar, you can get it with banana inside and I would certainly recommend getting it with the banana- it goes a treat with the nutty chocolate filling! Manoosh is located in Enmore and Marrickville, and whilst it’s not every day that we drive to the other end of town for pizza, but I would totally do it again for the food!